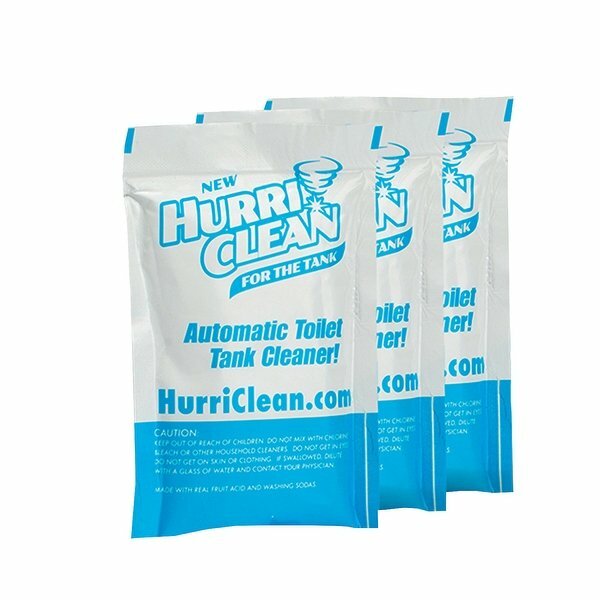 Box includes 3 packets; Use 1 pouch per month. 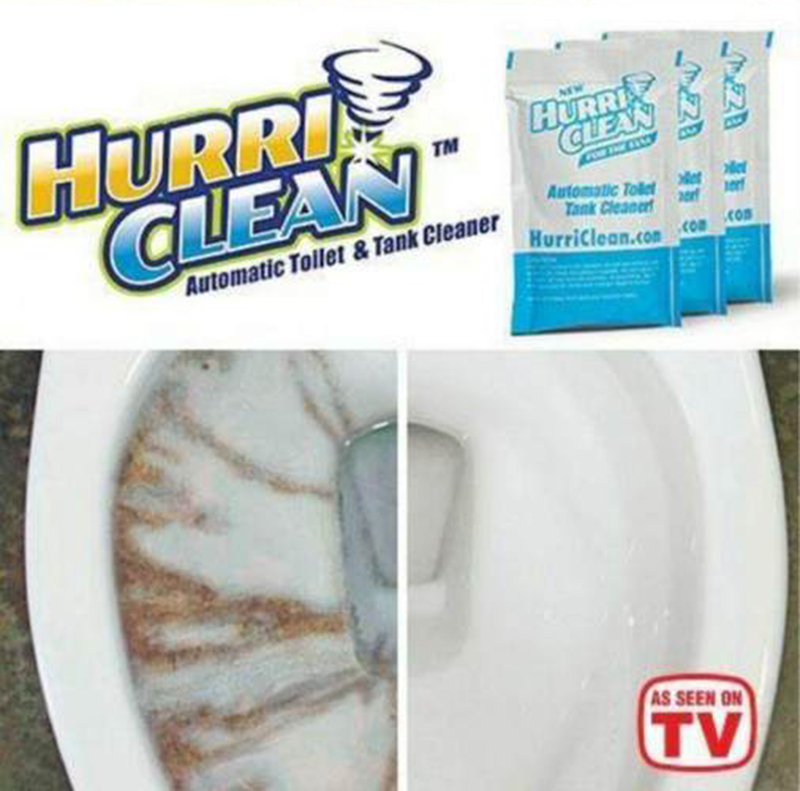 Made with real fruit acids and washing sodas. 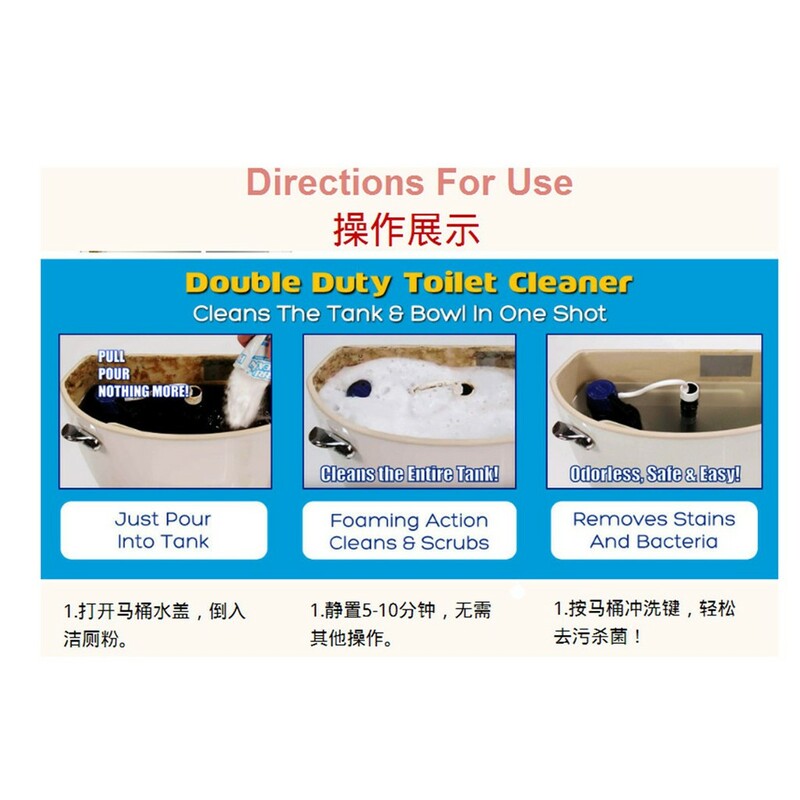 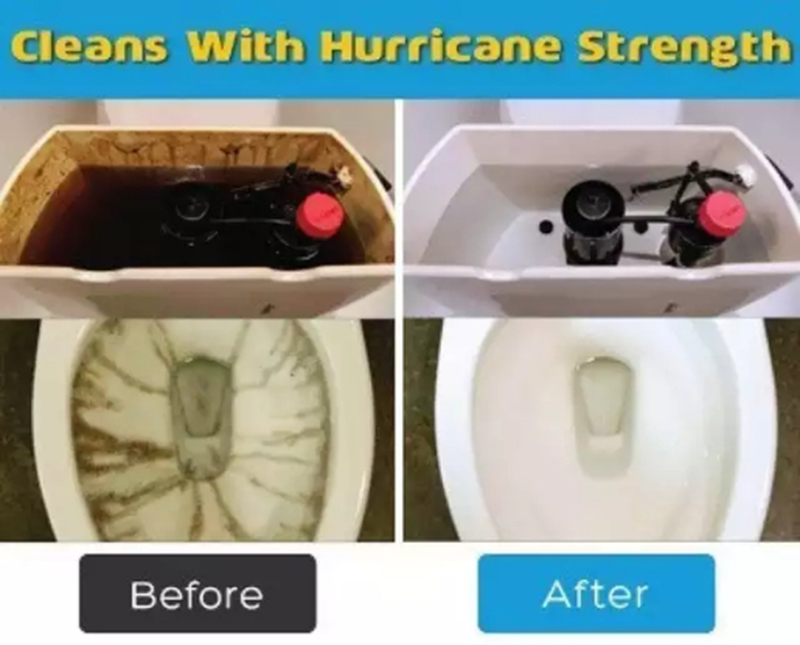 1-Clean your toilet from the inside out! 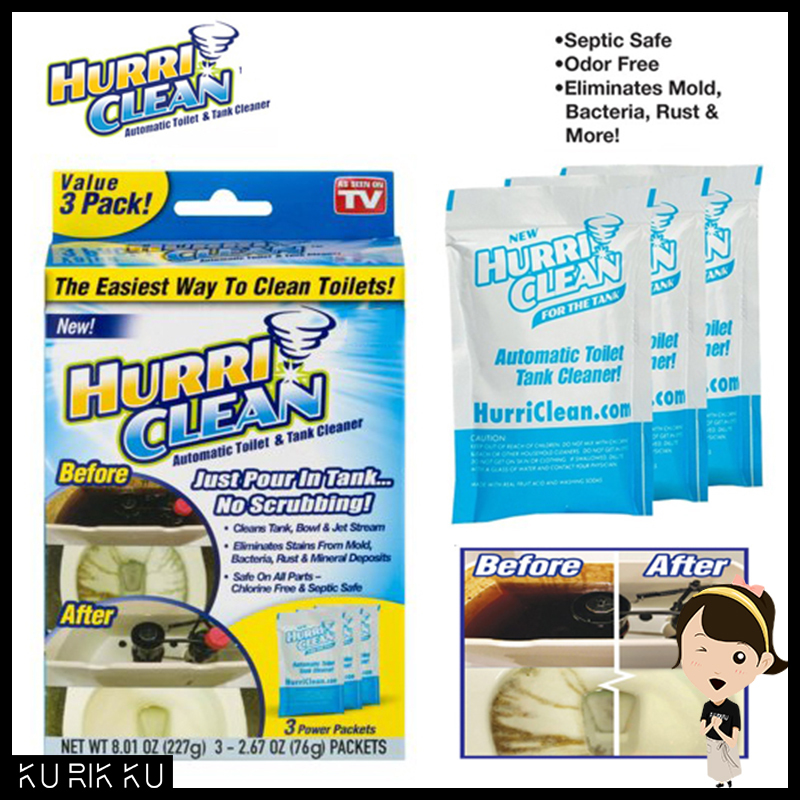 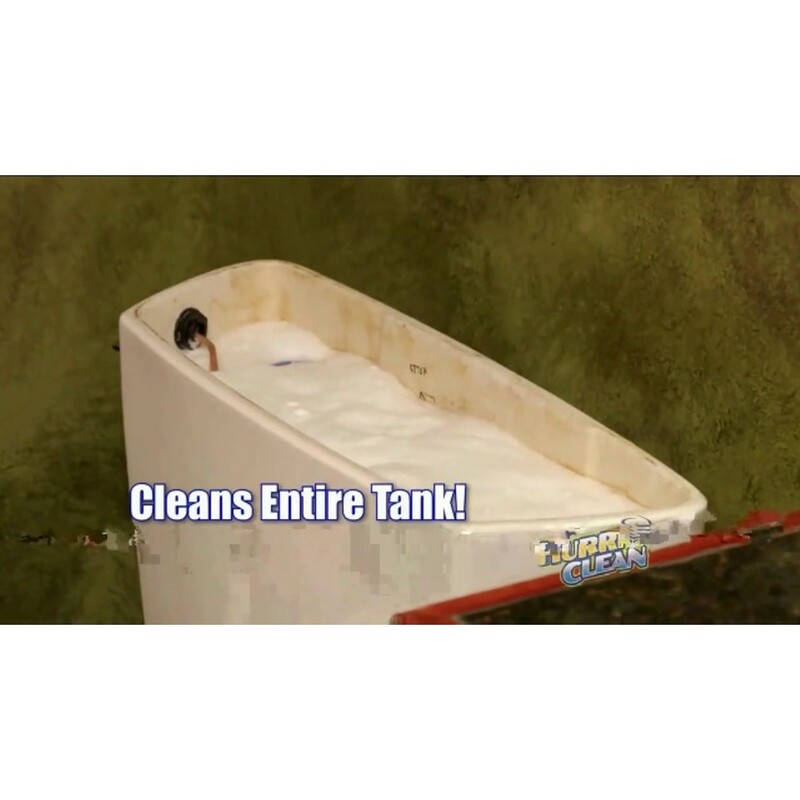 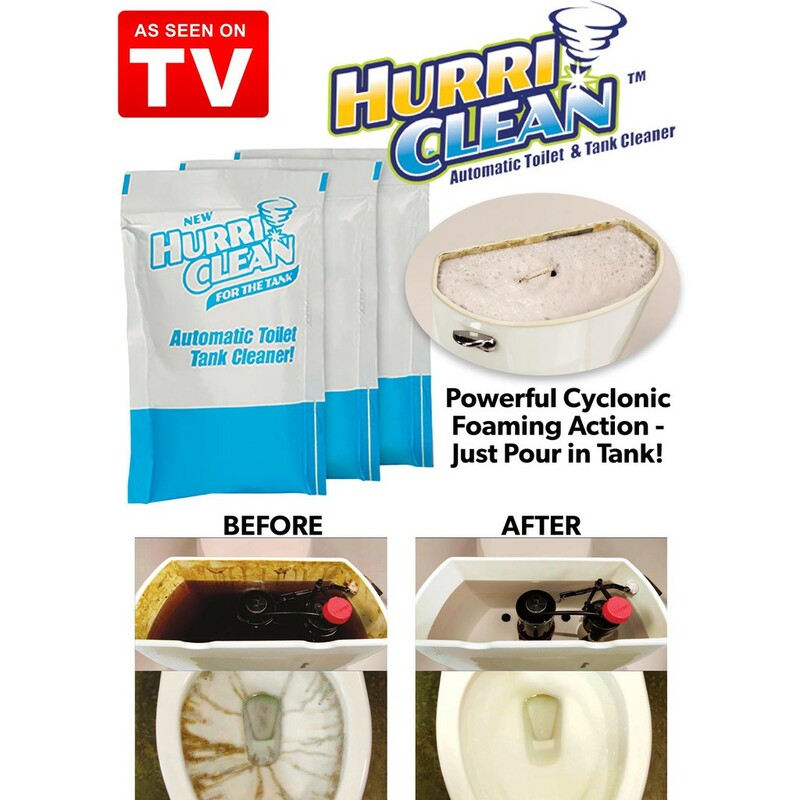 Just flush and Hurriclean cleans and sanitizes right away. 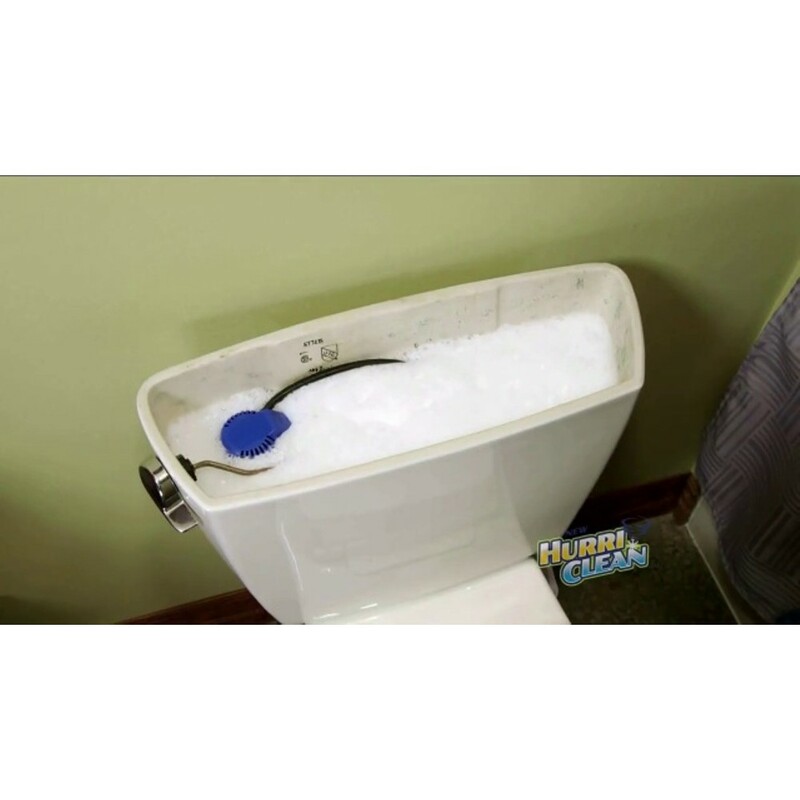 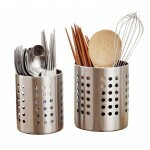 It eliminates mold, bacteria, rust, minerals deposits and more!. 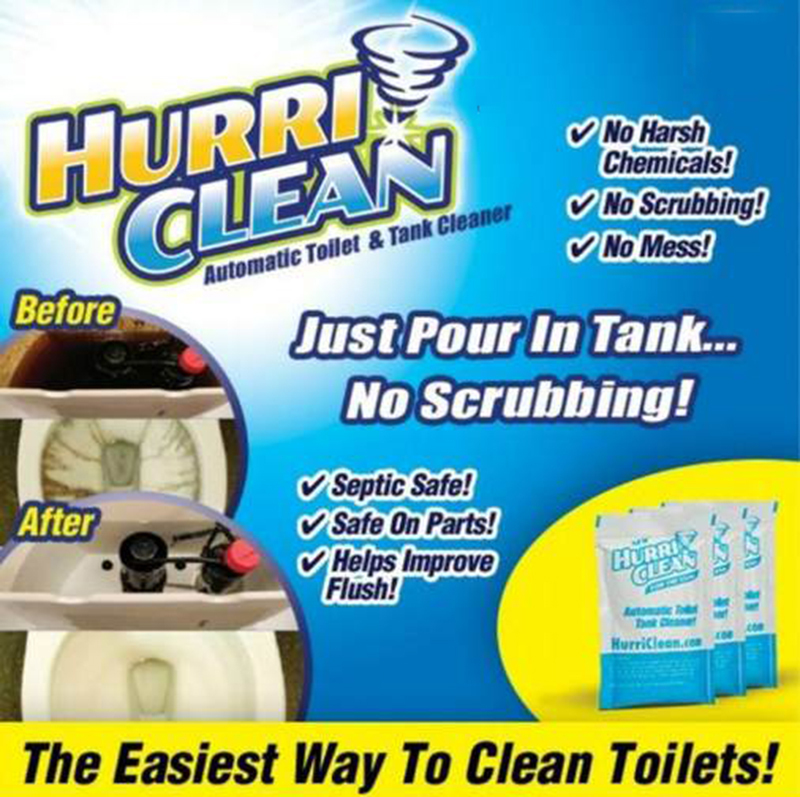 It's safe on all parts - chlorine free/septic safe. 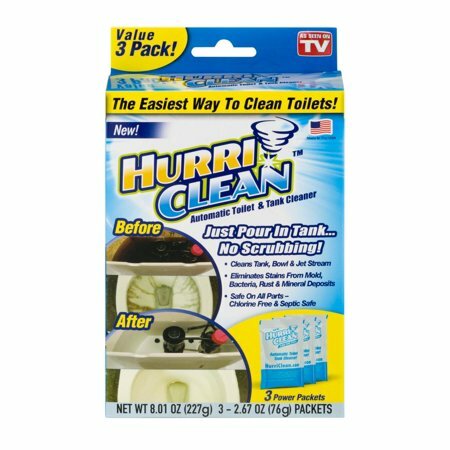 2-Pour a packet in your toilet tank and the foaming action goes to work eliminating odors, stains, and hard water mineral deposits.